We will be releasing all of our album tracks as free downloads, two at a time, for two weeks at a time. Every week, two songs from the forthcoming Tunics album, Somewhere In Somebody’s Heart will be released right here, for free. The songs that are available for free will be changed for two new songs, until the whole album has been given away for free. 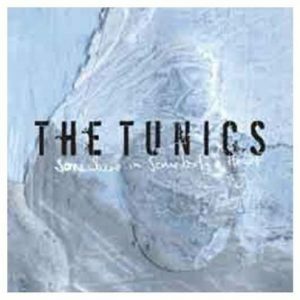 The Tunics album, Somewhere In Somebody’s Heart, will be released in a special limited edition in key stores around the country. Keep checking back for more information on this release. We think it’s a pretty good deal. Even if you miss some free songs here and there (although if you sign up for our newsletter, we’ll keep you posted, so you shouldn’t miss any! ), the digital songs will be available to buy starting June 2nd. Every time new songs are released they will be announced here at www.thetunics.co.uk, so bookmark this website. You might want to also sign up to the newsletter to make sure you don’t miss any, we’ll also be announcing plenty of other good stuff so you will be the first to know.